As a point of clarity, I was not asked to write this review in exchange for the tickets to pre-screen Gifted. I am writing this for you, because it matters. Last night I was offered an opportunity to pre-screen the movie Gifted. In true form, my beloved bride and I turned this into a date night. Things have been crazy for the last few months, so we made the best of it. We both got dressed up, had a babysitter lined up (thanks Mom) and headed out. Leaving our three kids under the age of five behind, we entered into the night. It is an interesting thing that happens when parents get some time without the kids. We talked about our little ones, and how things were going. We stopped by and grabbed a bite to eat. One thing that was noticed was that there was a frequency of checking our phones. No, not checking Facebook, Twitter or the like. But making sure that we did not miss a text asking us to come home. As the sun was setting we parked in the theater. We made our way in, and found seats. We had watched the trailer a few times, and were equally excited to watch the movie. However, we were a little unsure as to what was to come. From the moment that the movie started, this capriciousness subsided. From the moment that the movie started, we were hooked. The characters were equally engaging and understanding. We found that we were able to identify with both the protagonist and the antagonist, throughout the film. What unfolded before us was a beautiful story. Much like picking up a good book, we were engrossed. We were invested in the plot. Again, like a good book, with each turning of the page something awesome was revealed. Yes, there were tears. In fact, there were points that everyone was in tears. Parts of this story strike deep into the visceral component of parenting, of love, of trust. But, these sullen tears were balanced with amazing storytelling as well as fantastic, jovial, laughter. Time did not matter for this movie. From the opening screen to the rolling credits, everyone was hooked. There was not a single moment where we felt the actions on the screen were filler, everything mattered. As the movie ended, and the audience departed, we silently walked to our car. We made our way home, discussing the movie and what it made us FEEL. We realized that if this were a book, it would make sense to have been written by the seven year old. But not in a bad way. In a way that resembles the way children tell stories. Depicting the events as they unfold, starting with the big stuff, and then giving the backstory… because the backstory matters. We made it home, took a deep breath, and walked in the door. The baby was fed, and I hugged the two little sleeping toddlers, kissing their foreheads and telling them that I loved them. What are my final thoughts on the movie Gifted? What can I say, without spoiling it for all of you? If you are a parent, go see Gifted. 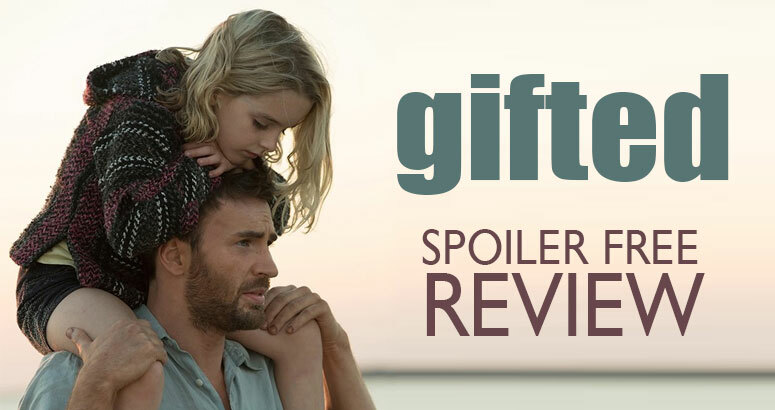 If you are an aunt or uncle, go see Gifted. If you are a teenager, and cannot understand what your parents are doing, and think that you could do things better, go see Gifted. If you are a grandparent, cousin, person, go see Gifted. Gifted is now, nearly, at the top of my list for movies. The acting was amazing. The story will not leave you for want, but is full of emotional depth that grabs at your heart, and soul. We are planning on buying it the moment that we can. Perhaps there will be another date night in our near future. If there is, you can almost bet that we will be watching Gifted, again. Live big, love bigger and be kind, always. When our daughter was born I realized that there were voices of dad’s who have children with Craniosynostosis. I had nowhere to turn to seek answers that only dads seemed to be asking. It did not take me long to see what I needed to do. Since my daughter is such a superhero to me, I would return the favor and use my voice. I aim to be the voice for the voiceless. I also hope to be a resource and an ear for all dads who have a child with Cranio.Find out more at CranioFamilyBlog.com.